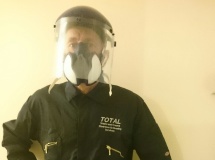 Total Trauma Cleaning is a trading name of Rubbish Clearance and Waste Removal Limited which is a local family run business which was established in January 2007, this means we have many years' experience and have thousands of satisfied customers. Our company began as a waste removal service, and then as there was a demand from customers we began to offer all cleaning service as well. 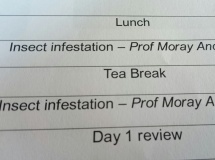 Over time we were asked to deal with some very unpleasant and traumatic situations, which led us to educate and train ourselves to deal with specialized cleaning and clearing. 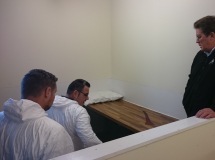 This then led to training with 'The National Academy of Crime Scene Cleaners', resulting in becoming one of their rapid response teams covering the Hampshire area, 24 hours a day, 365 days a year. 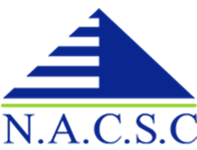 We have also added equipment, and best practice from the N.A.C.S.C. 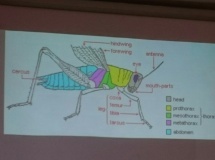 along with a massive amount of firsthand knowledge gained from practical experience in everything from syringe collection to decomposition, insect control to murder scenes. 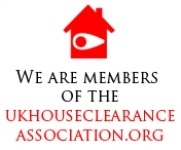 This together with nearly 30 000 cleaning and clearing jobs behind us make us very confident that we have what it takes to solve your problems. 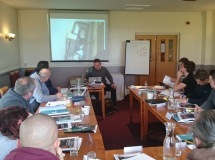 My team are made up largely with very close friends that I've known and worked with over the last twenty years or more, I trust them completely to be compassionate, thorough, effective, and have safety and customer satisfaction at the top of their priorities. You can trust them too. If you would feel more comfortable talking to a female, for whatever reason, please just ask to speak to Lynn or Marion and they will call you back as soon as practically possible. We are environment agency licensed. We are registered data handlers. 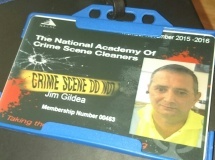 We are members of 'The National Academy of Crime Scene Cleaners. We have team members who are trained in first aid. We are happy to provide references if required, and to be fully transparent in the prices of all consumable / disposable equipment, and waste disposal costs. We use both Sita UK and Veolia for the majority of our disposals, as well as operators of specialist incinerators when necessary. Please feel free to call at any time on 01329 848737 or 07984 501822 to discuss your needs. We have been operating for nearly ten years and have the experience of nearly thirty thousand removals, (including cleaning), so far. 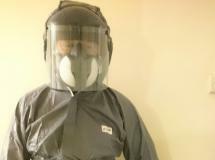 We have been trained by 'The National Academy of Crime Scene Cleaners' to deal with the worst traumatic situations, from the aftermath of death in its many forms, to insect control at the scene of a death, decomposition, suicide, drug misuse, syringe collection and also countermeasures for the 'smell of death'. All are specialist operatives are Tetanus and Hepatitis B vaccinated. 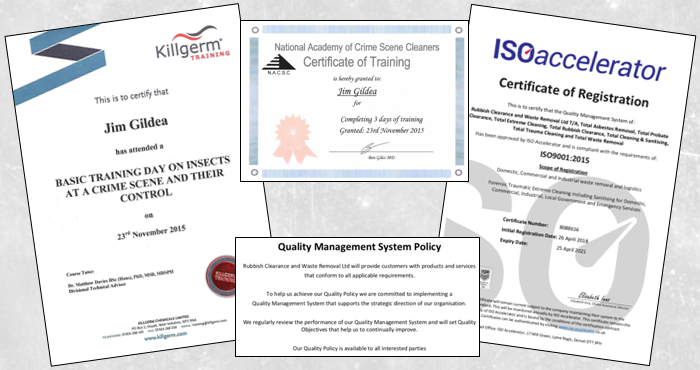 We are also trained by 'Killgerm UK' in using pesticides for insect control, both how and where to use them, and which to use when! 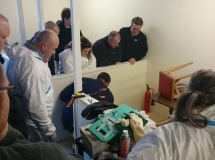 We have twice weekly in-house training sessions, to make sure all our staff are fully familiar with the latest equipment and how and where to use it. Some of our staff are also trained in first aid.